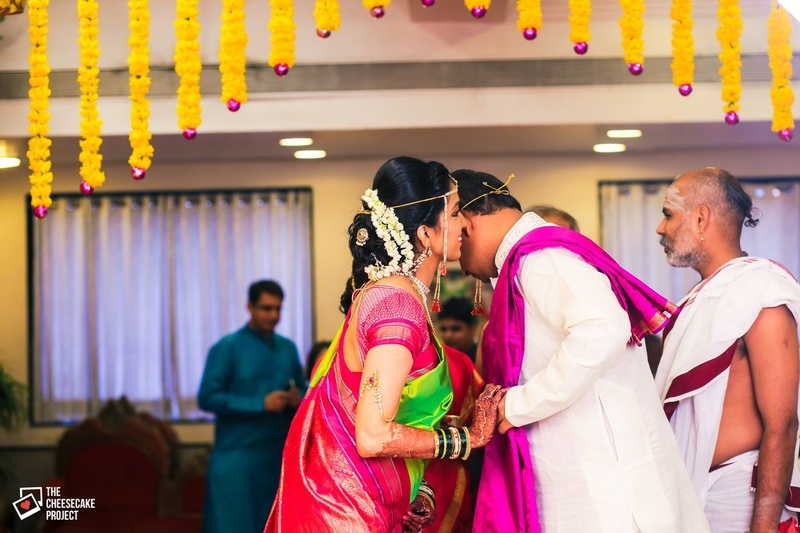 A beautiful banquet hall with yellow light chandeliers hosted the traditional Maharashtrian marriage ceremony of Aditi and Niranjan. 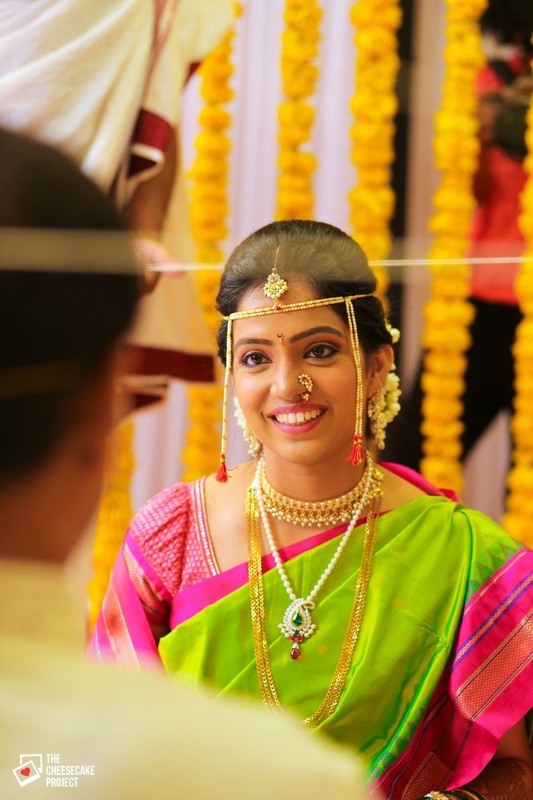 Aditi wore a green Nauvari dhoop-chhaon saree with a gold paisley weave on its rani pink pallu. 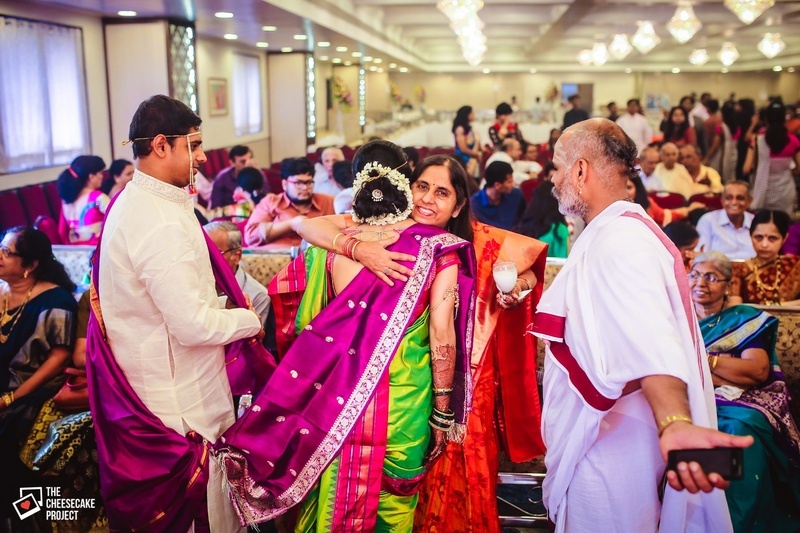 The age-old Marathi traditional nauvaari saree requires perfect technique and practice when draping it - and Aditi's saree was the true interpretation of a perfectly draped one. 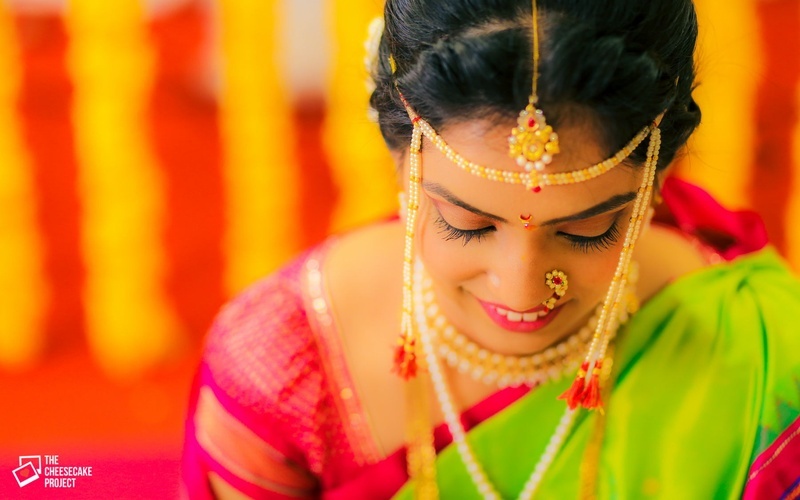 Her bridal accessories took her look to a whole new level. 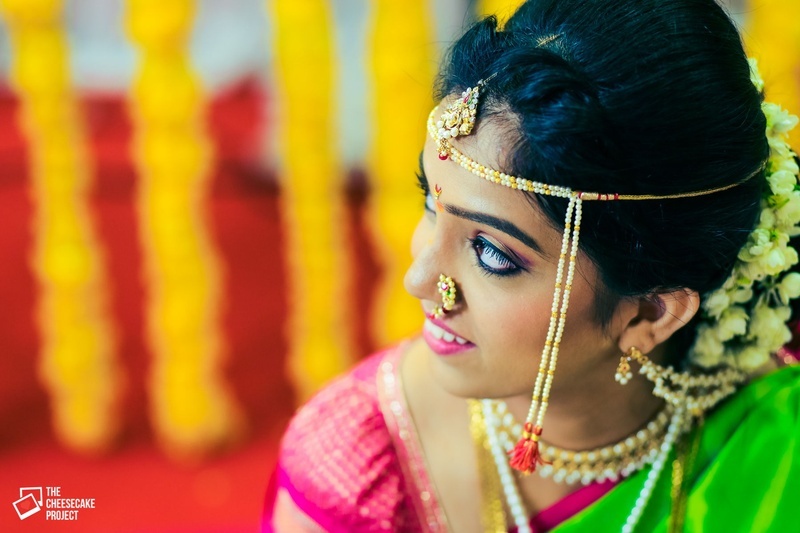 Her maangtikka, her Karwari nathni, the antique gold Baajubandh she wore and her scalloped silver payals left everyone spellbound. 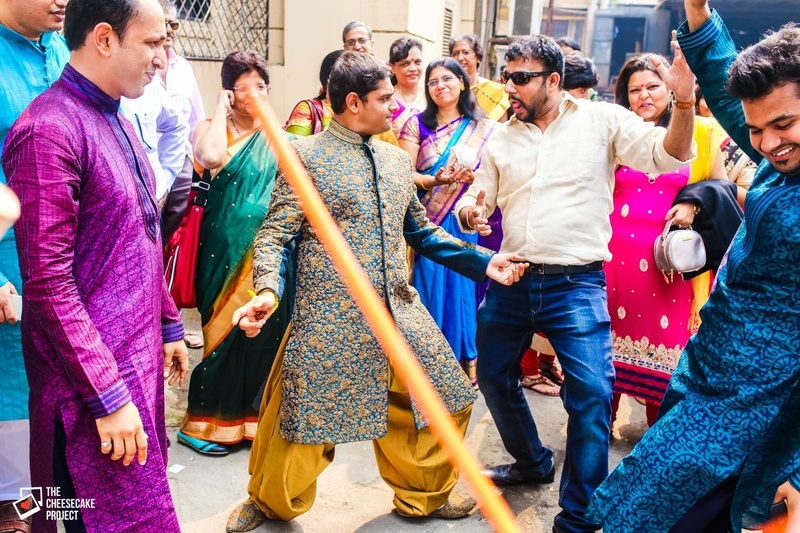 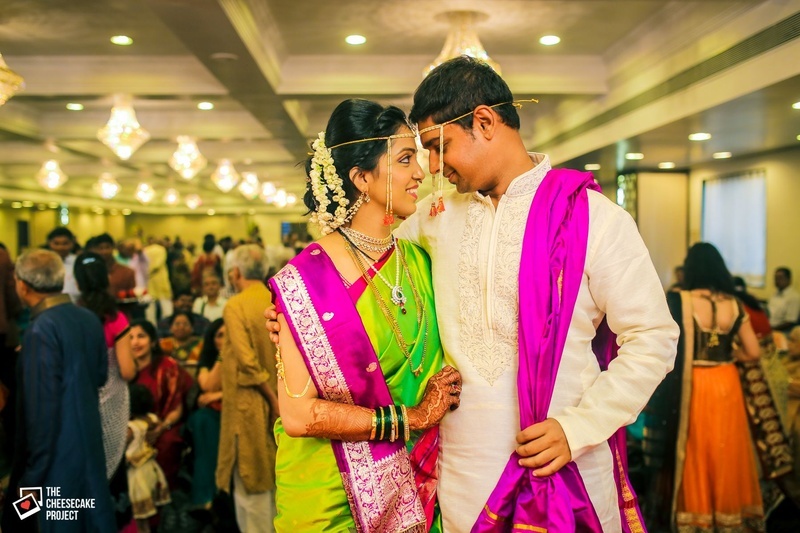 Niranjan wore a classic ivory silk kurta and styled it with magenta dhoti. 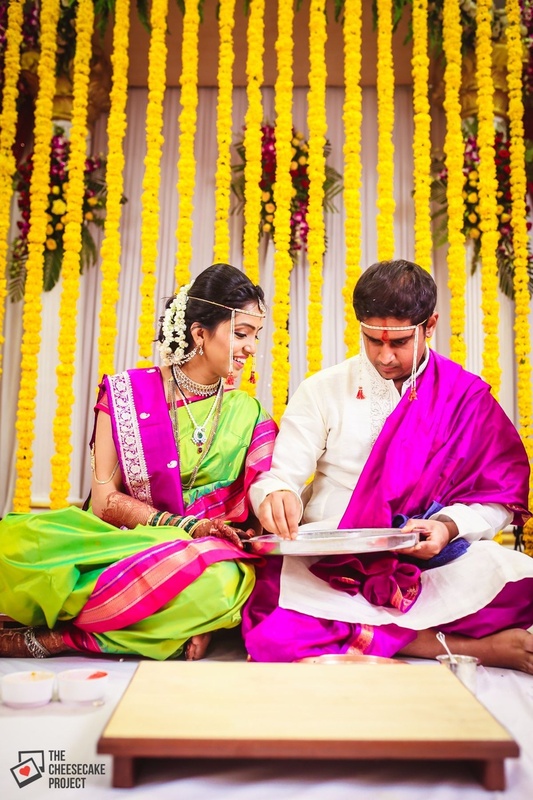 His angavastram was in a royal shade of magenta too, and was tied to Aditi's matching silk shaalu that had paisley patterns woven in silver. 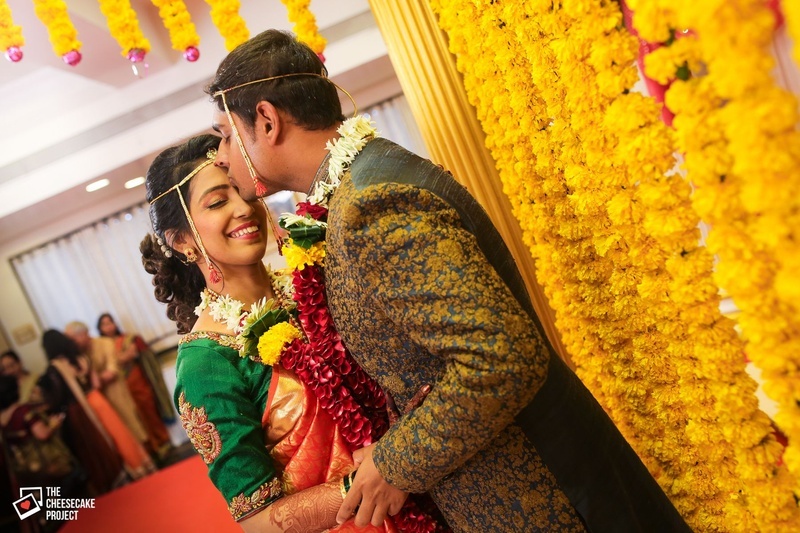 This gorgeous couple completed every tradtional wedding ritual, set against a background decorated with an abundance of marigold flowers. 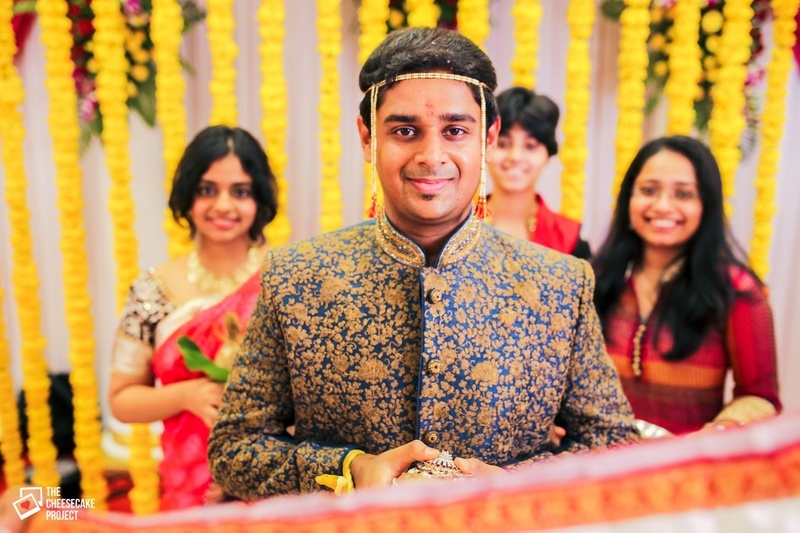 Later, for the Antarpath ceremony Niranjan donned a royal blue Sherwani that was heavily embellished with gold resham embroidery all over and perfectly complimented his bride's tangerine silk saree. 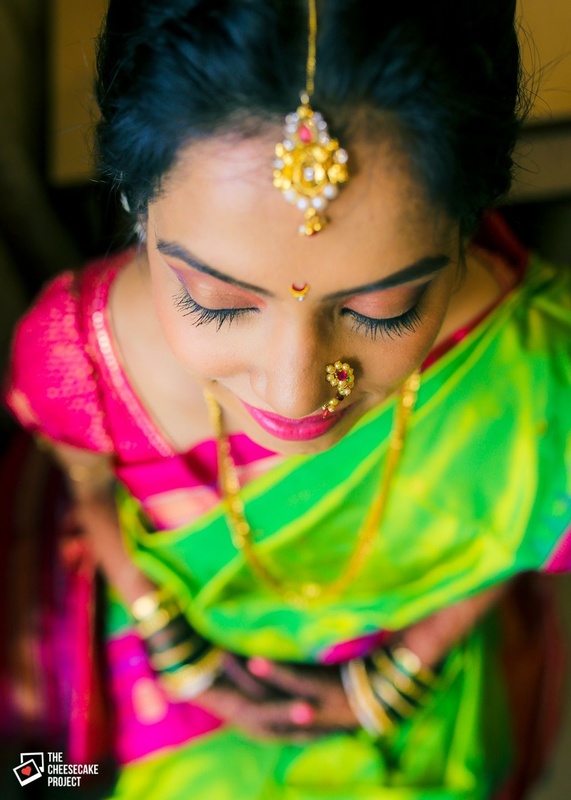 Every stunning image from this wedding was captured by The Cheesecake Project. 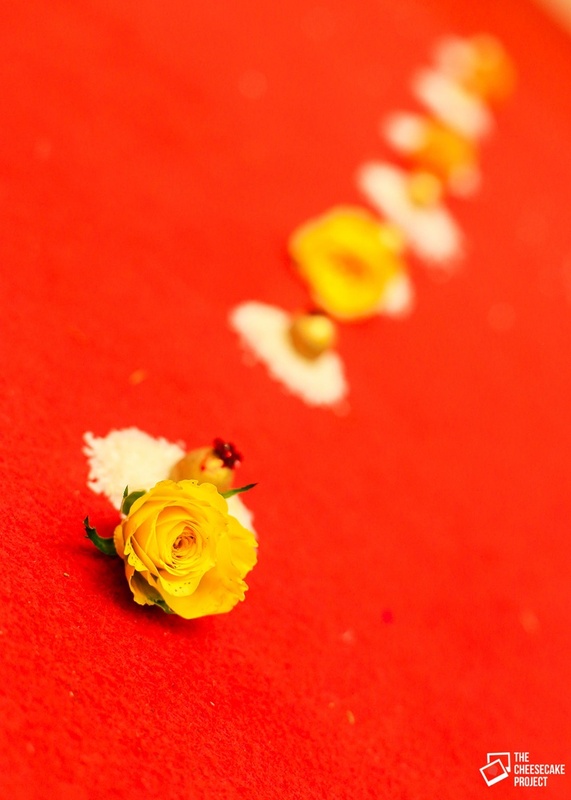 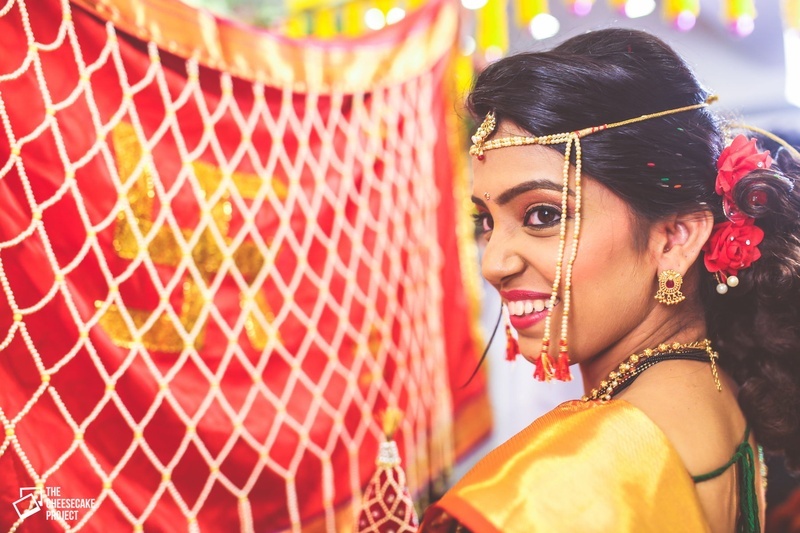 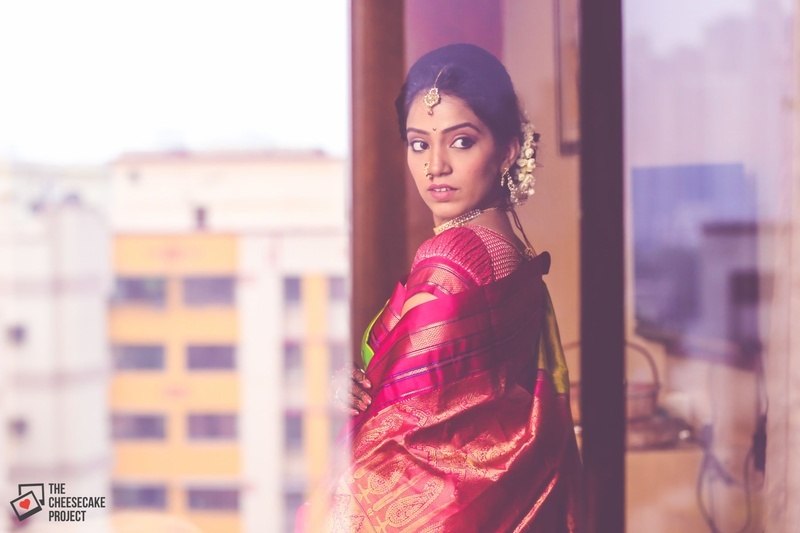 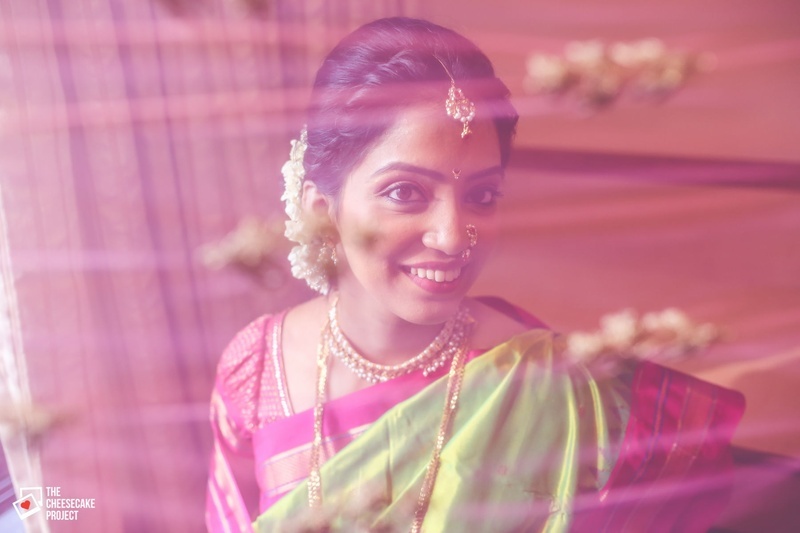 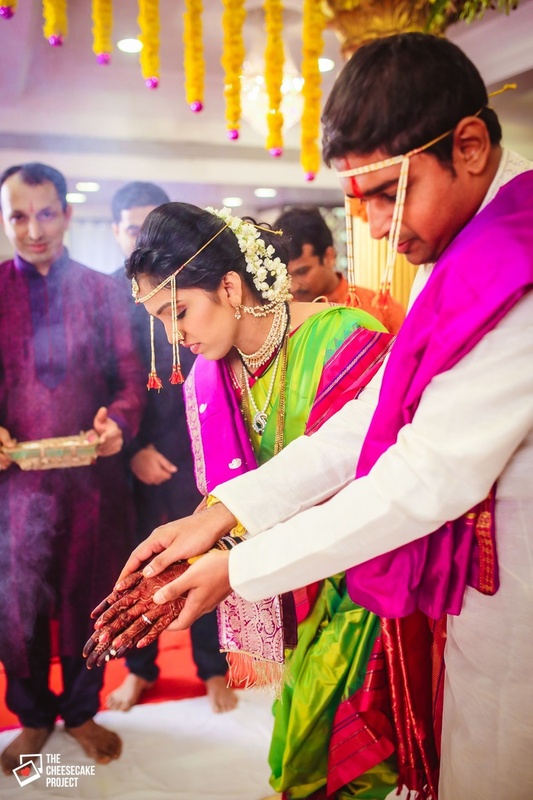 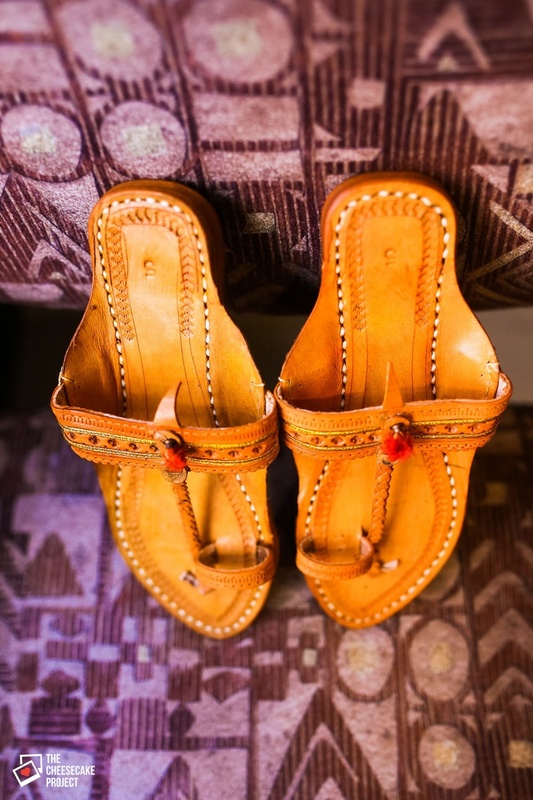 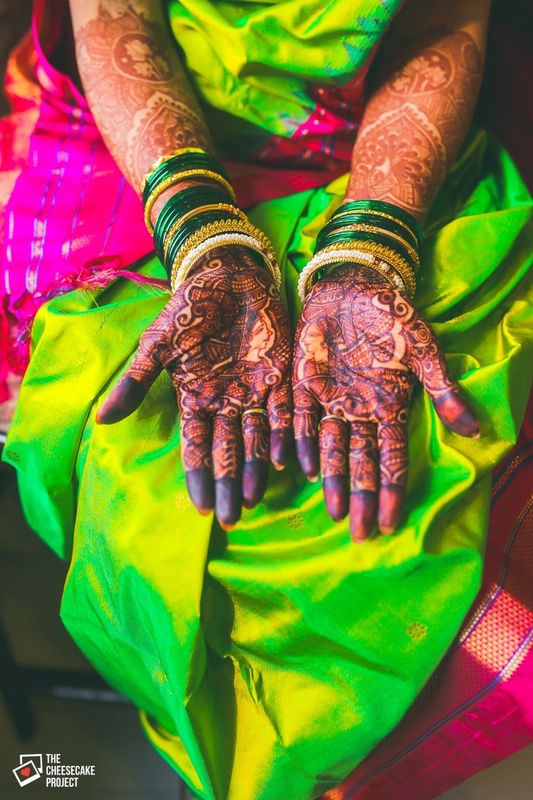 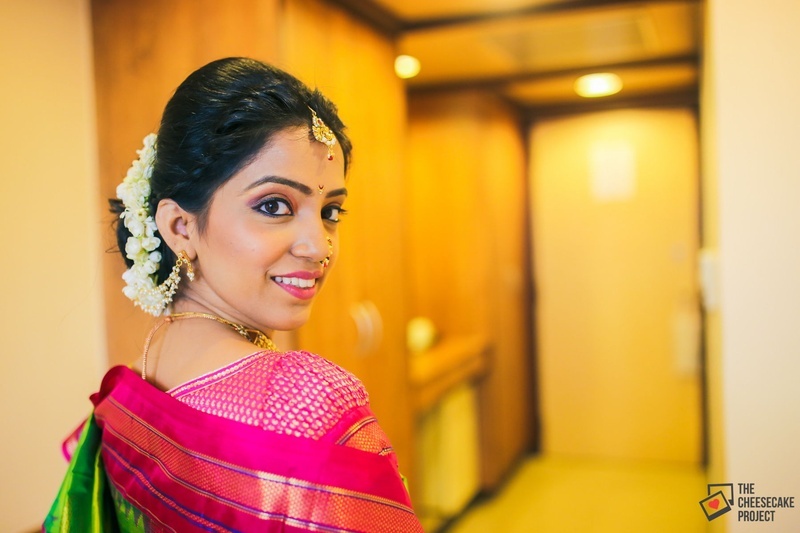 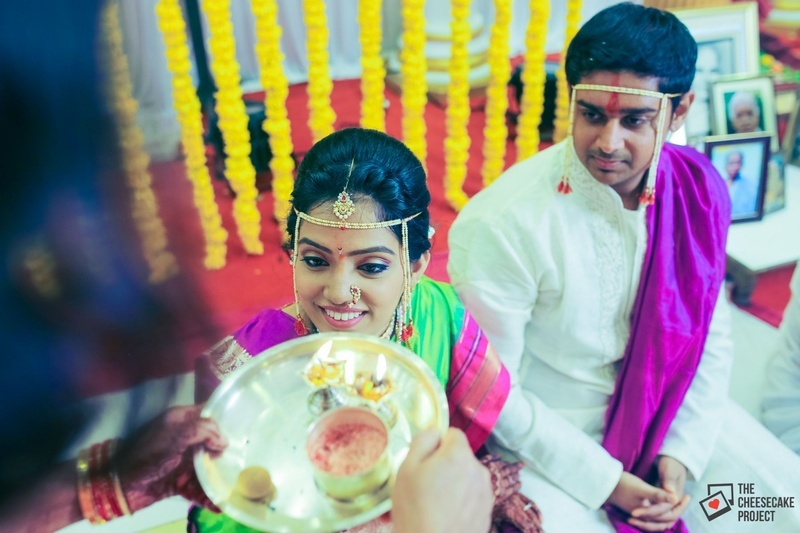 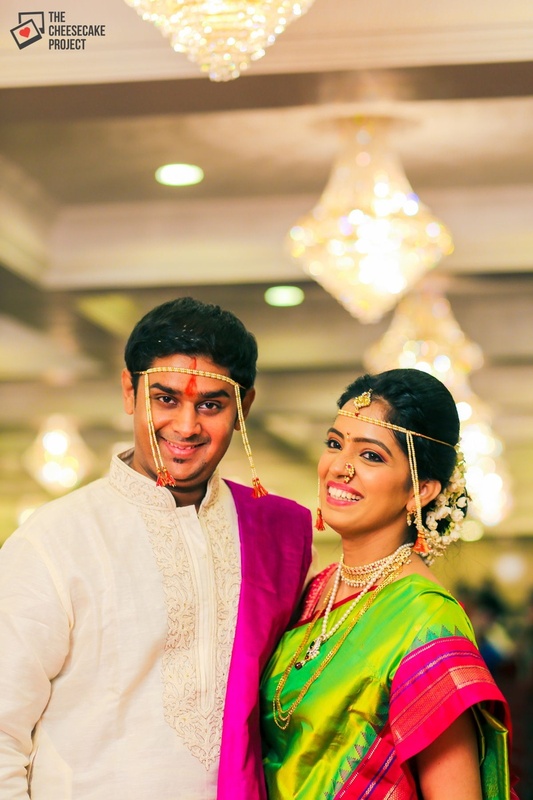 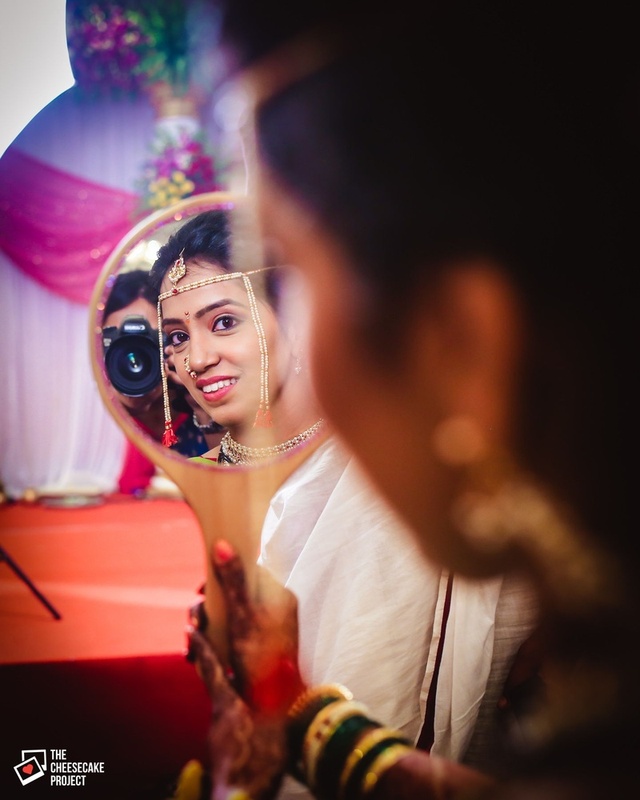 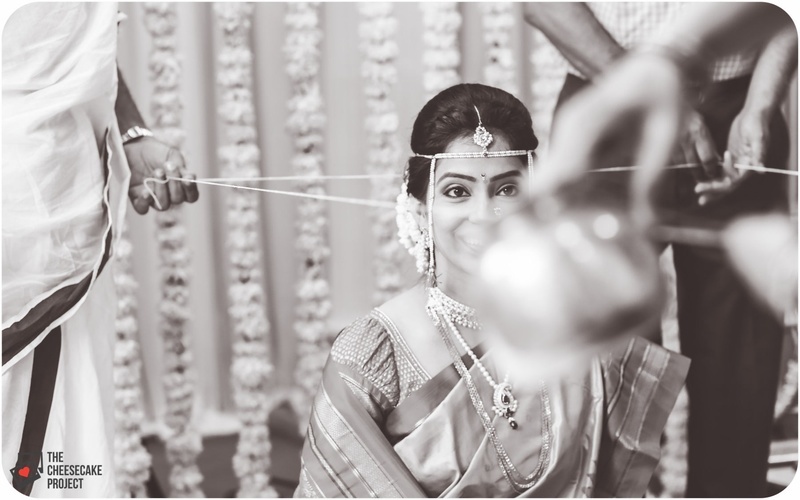 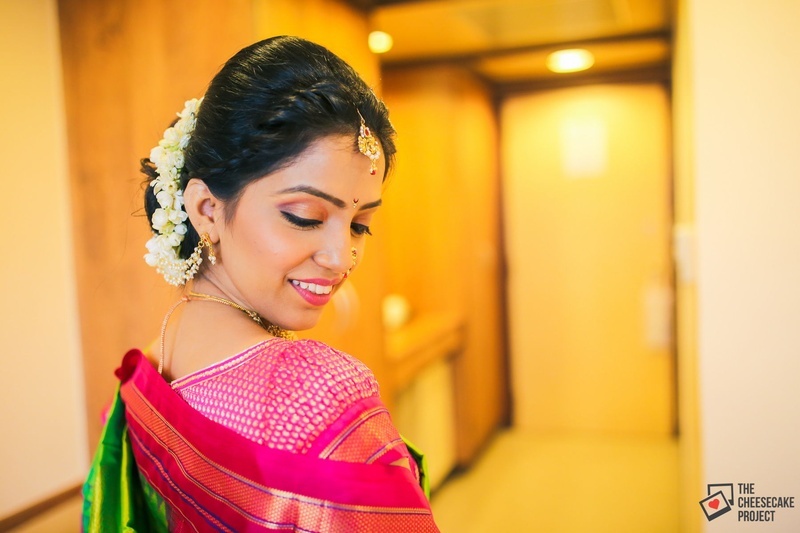 Take a look at a few images from this maharashtrian wedding ceremony right here!